Facebook Oozed Fading Rainbow Colors | Charlene E. Hios "JD"
Have you ever seen an up close and personal rainbow? One that was so close to you ,well, you thought you could reach out and touch it? I remember the first time I saw one! It felt so up-close, and so vibrant it brought tears to my eyes. I was in Hawaii. I dropped to my knees at its beauty. No! I was not worshiping the rainbow. Relax! I only worship its Creator. The descent of my knees to the pavement was an involuntary response to something God created. The only other time I experienced this response, this drop to my knees, occurred the first time my eyes fell on the beauty of the Grand Canyon. When a true believer and follower of Christ Jesus sees God’s artwork, well, our response is one of worship! On June 26th, 2015 a different type of rainbow starting appearing amongst social media, specifically, on Facebook. Facebook provided a tool for its users to celebrate the Supreme Court of the United States (SCOTUS) decision on gay marriage. The tool was a filter which placed a rainbow tint, well, actually a resemblance of rainbow colors over the users’ profile picture to show their support for gay marriage. 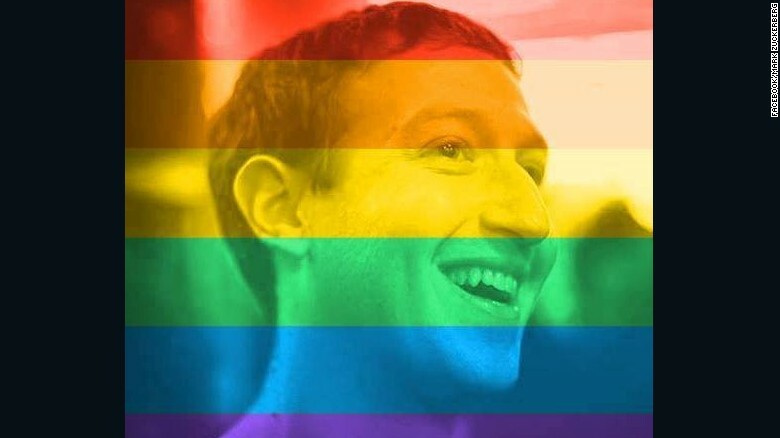 Did you know Facebook also sponsors gay pride parades? I often wonder if supporters of gay pride parades go to the parades they sponsor? Do they not see the public lewdness that is displayed. Are sponsors so into wanting their product make more money that they do not see the impact upon the hearts and minds of the kids that attend these parades? I have always wondered why the rainbow has been used by a political movement to represent a sexual choice. As you probably already know, the rainbow is a sign of the covenant God made with all of mankind. A covenant which basically meant that God would never destroy all of the Earth with a flood as He did in the book of Genesis. How is it that this sign of the covenant represents sinful behavior between folks of the same gender? This entry was posted in Facebook, Gay Marriage, Genesis 9, Rainbow Colors, Sign of Covenant and tagged Christ, Christ Jesus, Covenant, Facebook, gay marriage, Gay Pride Parade, Gay Pride Parade 2006, Genesis 9, Genesis 9"13, Genesis 9:17, God, Jesus, Jesus Christ, Rainbow, Rainbow is Sign of God's Covenant, Sign of Covenant, Sponsor. Bookmark the permalink.